We are excited to announce the 2018 sire directory is NOW AVAILABLE! Take a look through, we hope you like what you see! Don’t miss these Solid Gold Steers from Custy Cattle Company TODAY on SC Online Sales! 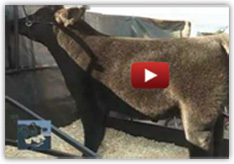 We at Lautner Farms work diligently each and every day to provide you with REAL VALUE. We are committed to providing more than just hype. We buy, raise and promote only the most elite sires in the country. We understand what it takes day in and day out to be successful in this industry, and that is why we have committed ourselves to offering ONLY the best of the best. More.